We start with a consultation to establish what you would like to accomplish in the world of triathlon. After that, I will design a training program tailored to your needs, limitations, and goals. This includes a general season plan through to your goal race and specific weekly workouts posted to the Training Peaks website for you to access and provide feedback on your progress. I will meet with you personally as needed to help you make your plan happen. Coach St.Clair started Lobos Multisport in 2014 as a way of expanding his coaching passions. He has been coaching endurance athletes in track and cross country since 1992 and has helped many achieve their running aspirations. He became a USA Triathlon Level 1 certified coach in 2013 and has been a USA Track And Field certified Level 2 endurance coach since 1999. 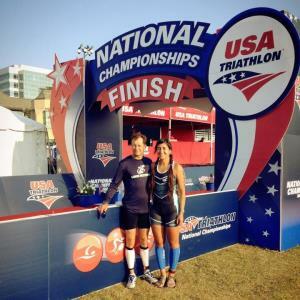 As a triathlete, Coach St.Clair has competed in the Ironman World Championships in Kona, the70.3 World Championships in Vegas, and the Age Group World Championships with Team USA in Chicago. A committment to get faster and have fun! Success. Coach Tom St.Clair has been notified of your message.